There was a report a couple days ago that Cole Hamels was fine tuning a list of teams that he'd be willing to be traded to. Hamels has a limited no-trade clause that he has updated to include a list of teams he didn't want to be traded to according to reports. The Boston Red Sox seem to be a team in need of a star pitcher, and claimed Hamels last season in a waiver that was revoked by the Phillies, so the interest is there. What could the Red Sox offer the Phillies? Would the Red Sox offer up Yoenis Cespedes in a trade for the top caliber pitching offered by Cole Hamels? That would be about the only player on the Red Sox that would be of value to the Phillies, you could even package up Domonic Brown along with this deal and possibly get someone in the minors that has some value from the Red Sox as well. Time will tell if Hamels will be dealt in an offseason that is very important to this team, but so far they've only signed a couple of players without making any major moves. The idea is not to give away players like Phillies GM, Ruben Amaro, did with Hunter Pence. He practically gave an All-Star to the Giants for next to nothing. This trade mentality haunts Amaro and it shouldn't be repeated. The Phillies resigned Grady Sizemore for a one year contract for a bargain, $2M for the single season. This is what the Phillies have done now for consecutive days, resign a couple players that looked good for the Phils in the past season. Can Sizemore get more playing time to get into a groove? That is the question of what will make the Phillies a better team. With so many lineup changes in the past couple seasons, this blogger can only say that this has been one of the primary reasons that the Phillies haven't been as effective as they should have been. A team is a team for that reason. Don't start different players in different positions every game, that's a foolish way of trying to tweak a team from the bench on a daily basis. Make your position players just that, they've won the job and they should play. Will the Phillies not contend for the next couple seasons as acting Phillies interim CEO, Pat Gillick has said? Hopefully he is wrong, the Phillies need to do better than that and can if properly setup by the management that has failed to do so in the past couple of years now. Check out what the Phillies of the future are up to right now in other leagues from the PhoulBallz.com blog. Awards season is upon us again for baseball and once again the BBA, Baseball Bloggers Alliance, is taking part in the process. Here's the list from the Philadelphia Chapter. It's time for another edition of Phillies Talk Podcast with Rich and Jim. We're talking about how the Phillies did towards the end of the year and what they can do in the off season to fix some of the problems with the team. Also, some playoff talk, with who we think may end up in the World Series. Join us for the off-season as this show goes on year round with interesting interviews and topics that will keep the time passing well until Spring Training 2015. The Phillies season was not anything to get excited about, they finished last in the NL East for the first time since 2000, and really never got off the ground from the start of the season. Ben Revere had the most hits in 2014, with 184. Revere only scored 71 times during the season though. Jimmy Rollins ended up with 78 runs scored with Chase Utley right behind him at 74. Ryan Howard was the Phillies leader in RBI in 2014 with 95. Marlon Byrd finished with 85 on the season. Ben Revere led the best batting average for the team in 2014, he finished with .306 and in the top 10 in the NL, the Phillies team BA was .242 which was tied for 24th (with the Houston Astros) in the MLB out of 30 teams or 10th in the NL out of 15 teams. The Phillies ended the season with a team total of 1,306 strikeouts. This was the 8th most out of 30 MLB teams. The team with the fewest was the Kansas City Royals with 985 on the season. Two Phillies players, Ryan Howard (190) and Marlon Byrd (185) finished with a combined total of 375 SO with just two players. Interestingly enough, the Royals also ended with the least walks (380) by any MLB team this season, the Phillies finished 18th in that category with 443. Kyle Kendrick led the Phillies with 10 wins on the season. Cole Hamels had 9 and AJ Burnett finished with 8 on the season. Cole Hamels finished with 198 SO and AJ Burnett was right behind him with 190. The Phils as a team were 14th in the MLB at 1,255 total strikeouts on the season. That total was 9th in the NL, the best in the NL were the Dodgers at 1,373. The news from Howard Eskin, a local sports reporter, the other night on a local news broadcast apparently sounded real enough for the Phillies to dispute it. The Eskin news article stated that the Phillies ownership was in flux and the Middleton family had tried to seek control of the team in order to change the make up of the team and shake things up. Eskin reported that David Montgomery was going to be 'pushed out' of ownership so that the Phillies could make certain trades and take the team in a different direction. The Phillies issued a statement following the report that this information was false and not credible. 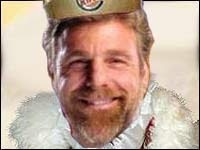 It's just another weird twist in the career of Howard Eskin when it comes to covering the Phillies. If you remember some years ago, Eskin and former Phillies manager, Charlie Manuel got into a verbal argument about what was wrong with the team back then. For the recor though, Eskin released a comment that he stands by his story. We'll see. It was supposed to be a time of change. The Phillies put in a clunker of a season. Things had to change, it was a last place finish and the Phils looked bad a whole lot on the field this year. One of the first announcements from Phillies ownership just a couple days after the season of misery came to an end was they asked all of the coaches to return. When something isn't working, the first spotlight is shown on the coaching staff. They didn't get something right. It's commonplace for a team to get some new coaching in so that things might change. That didn't happen just days after the Phillies turned in a really bad season. An offense that ranked near the bottom of the NL, and pitching that was 20th in the MLB of 30 teams for the top few catagories and this is the first announcement in the off season? If anything, Ryne Sandberg and the coaching staff didn't get enough blame for this season. Charlie Manuel used to get ragged in the press and from the fans for less but little has been said or written about with the style of Sandberg, and his coaching staff which includes Larry Bowa. Ben Revere finished in the top 10 in Batting Average for the 2014 season and he was great in the outfield on defense. Is there much more a player can do for a team? Well, Ben's offense stopped at the BA stat, if it wasn't for this nice top 10 finish, there would be much to say about his season. In a stat measured called Isolated Power, Revere was not very good at .055 and rated the lowest of any top 10 batting average finisher - his 28 RBI was lowest total of any center fielder in the National League as was his HR production. Revere's total on the season of 22 extra base hits is also the lowest among all NL center fielders. You gotta like the way Revere approaches the game, he has a great attitude and has fun out there, but the Phillies need more production and this is one area in which they lacked good offensive numbers.